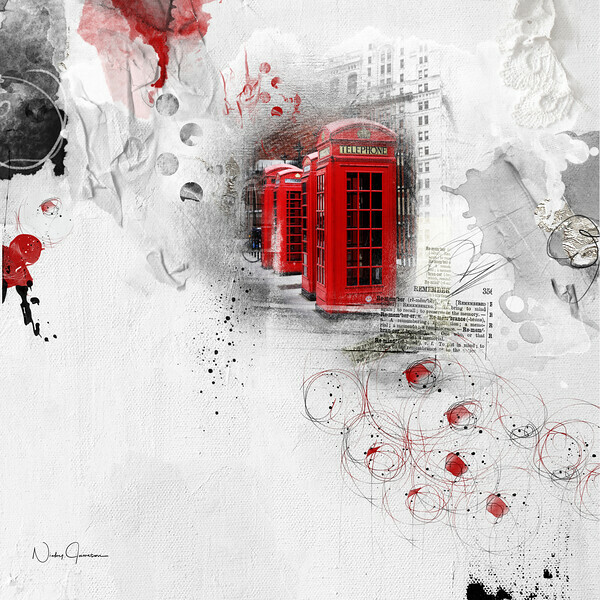 Red Telephone Boxes in London Humanity, shared, is wanting to be heard and understood. And so, at great risk, we artists create our art. I wanted to use the colour red and see how it came out with a minimal colour palette and to highlight the theme of connection and communication. It is so often underestimated how important are both of these and we ignore the messages at our peril. What better reminder than London's iconic and totally famous red telephone boxes to make an instant connection. This piece took several days to complete and has over 30 different layers and textures.